Download free images of maps of the Antarctic’s Ross Sea region and the Darwin / Hatherton glacier region. Please note that these are large image files. Unless you have a fast internet connection we recommend that you save the images rather than view them in your browser window. These maps are not available in paper format. You can download these images free as TIFF files. If you want georeferenced image files and vector data you can access these from the LINZ Data Service. the McMurdo Sound Lambert Conformal 2000 (MSLC2000) projection. 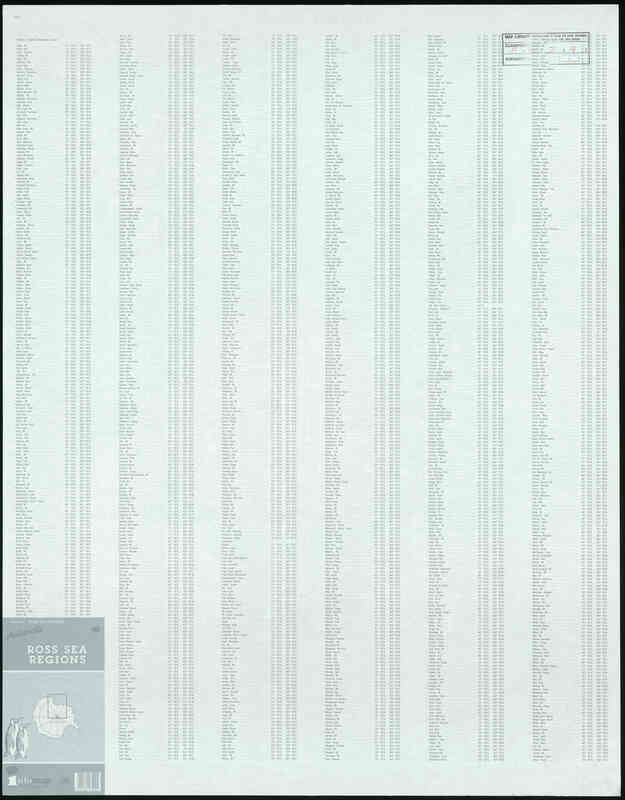 You can order paper versions of ANTopo50 ME13, ME14, MF13 and MF14 through major map and online map retailers. Use the Map Chooser for ANTopo50 toolto view the areas covered by the differentTopo50 maps. 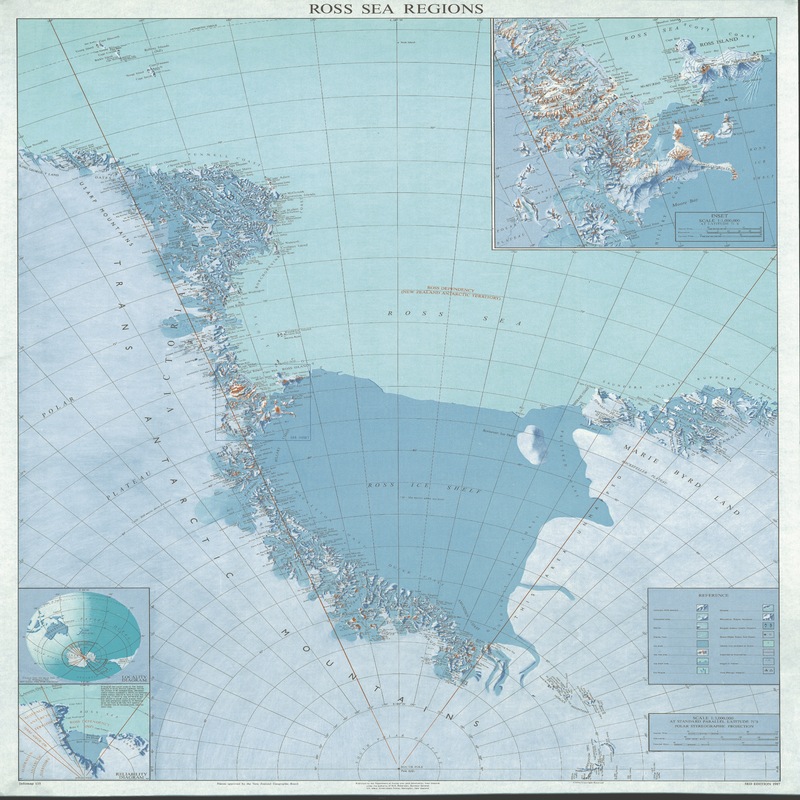 Download free maps as image files (TIFF format) for the Antarctic Topo50 map series.